David Smith, b. 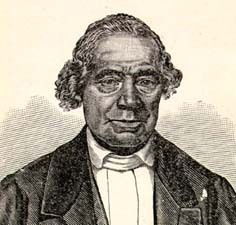 1784 and Daniel Alexander Payne, 1811-1893 Biography of Rev. David Smith of the A. M. E. Church; Being a Complete History, Embracing over Sixty Years' Labor in the Advancement of the Redeemer's Kingdom on Earth. Including "The History of the Origin and Development of Wilberforce University." Xenia, O[hio]: Printed at the Xenia Gazette Office, 1881. African Methodist Episcopal Church -- History -- 19th century. Wilberforce University -- History -- 19th century.